Jordi Wijnalda is a nomadic filmmaker in search of stories that simply need to be told on the biggest screen imaginable. Honing his passion for cinema in Amsterdam and New York City, he graduated in 2013 from Columbia University’s M.F.A. 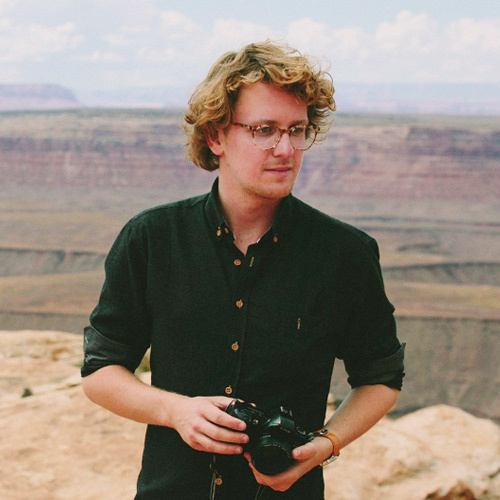 in Film Directing with the short film Southwest —a predecessor for his upcoming feature Foreigners—, that premiered at the Museum of Modern Art’s New Directors/New Films showcase and was nominated for a Student Academy Award–Oscar®. Back in Europe, Jordi translated other themes that occupy his heart and mind into the acclaimed short films Now What? (2015), Lukas by the Sea (2016) and Gilles (2016). Besides his work for international non-profit film organizations, Jordi is a co-founder of the internationally oriented filmmakers’ collective Blunt Cinema and was selected for the 2016 New York Film Festival’s Artist Academy. Foreigners — A young British-Dutch aid worker sets out to reconnect with his estranged mother, now a nurse in a refugee camp in Turkey, only to get caught up in her secret life of illegal human trafficking.